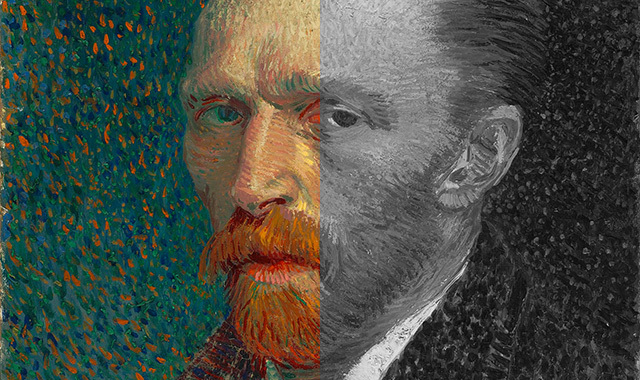 Japanese Scientist Says Vincent van Gogh Was Colorblind -- But Does it Matter? Could Vincent van Gogh's acidic sense of color and preference for bright, clashing hues, long the province of the Fauves, be a result of colorblindness and not just an aesthetic judgment? An essay by Kazunori Asada, a Japanese medical scientist and poet, has recently come to the attention of science blogs drawn to its argument that the famous painter wasn't so much an artistic revolutionary as he was visually impaired. Asada's article was sparked by an experience in Hokkaido, Japan's "Color Vision Experience Room," an immersive simulator that makes it possible to perceive color the way people with different types of colorblindness might experience it. When Asada saw replicas of the artist's canvases, he had a revelation. Van Gogh's paintings, Asada writes, became more beautiful and more natural in the filtered light. "The incongruity of color and roughness of line had quietly disappeared," the scientist writes. "Each picture had changed into one of brilliance with very delicate lines and shades." Asada went on to experiment with a piece of software that further simulates different variations of colorblindness, settling on a midrange spectrum deficiency that he felt best modified van Gogh's work. The deficiency meant that van Gogh's eyes had a moderate lack of receptors for the color red. Asada's filtered images are indeed more even and naturalistic than the originals; instead of the bright, brash colors for which we know van Gogh, the hues are organic and flow more smoothly into each other -- they're more traditionally complementary. The intense reds and oranges of "Wheat Field behind Saint-Paul Hospital" turn into autumnal golds. The eerie greens of "Starry Night" become more yellow, the red-oranges in the field are gone from "The Sower," and "Sunflowers" becomes drab. See above left for one example and scroll through Asada's essay for the rest. There are clear issues with Asada's argument. First, the versions of the paintings he uses aren't necessarily true to life. Our dependence on digital screens means that it's hard to make colors remain stable on a computer-to-computer basis. Asada's images aren't of the highest quality, and there's a strong chance the true paintings look completely different. There's also the philosophical argument. How can we argue that van Gogh's paintings look better through a filter? To assume that the painter's provocative artistic choices were simply the result of a medical condition is to completely disregard his own creativity. Van Gogh's colors are meant to clash; the unorthodox pairings were part of the Post-Impressionist and Fauvist aesthetic. Or were Paul Gauguin and André Derain also colorblind? The discussion is reminiscent of the argument that after Monet had the lens of one eyeball removed due to cataracts, his palette changed to deep blue because he was suddenly able to see ultraviolet light (the lens, protecting the eye, filters ultraviolet rays naturally). It's the chicken or the egg. Were the artists innovative simply because of their biology, or were they innovative because they were creative, pioneering artists? The latter seems more likely.